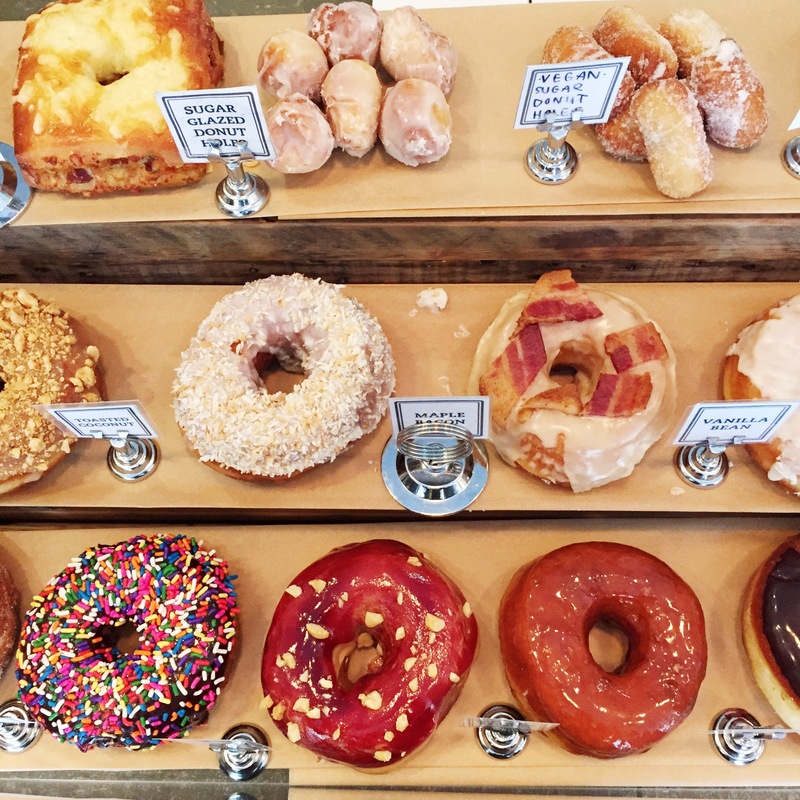 A few of my friends and I decided to do what I like to call a “Donut Hunt.” The hunt is simple: search and eat (of course) the best donuts in Boston. The plan is to drag our hung-over selves out of bed early morning on a Thursday or Friday in order to get a fresh batch of dough. It’s hard to pinpoint the origin of our little adventure. But I’m very glad it did. 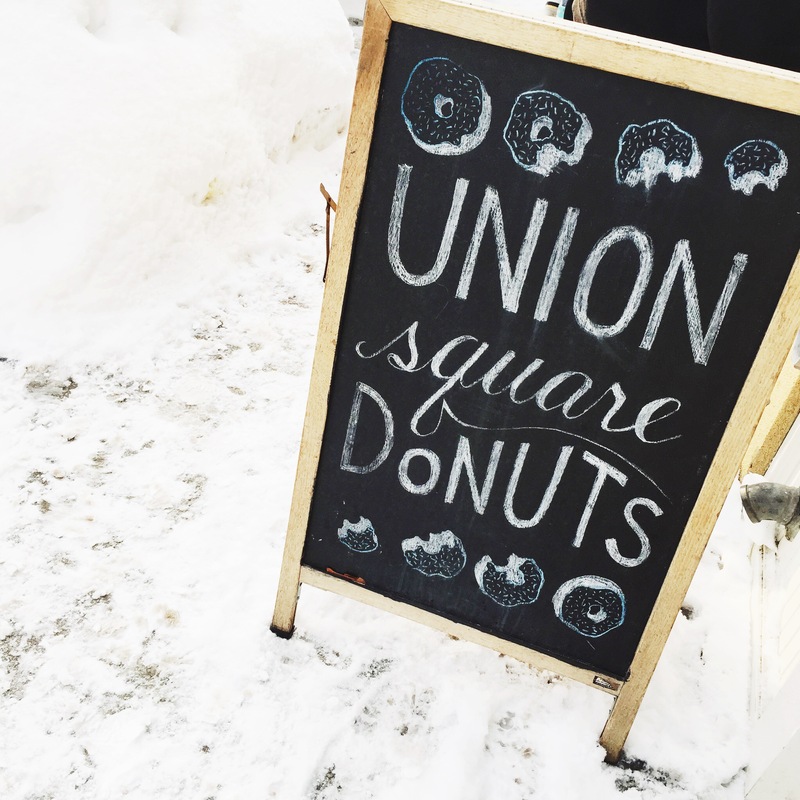 Visiting Union Square Donuts was long overdue. This cute little shop has been on my list for quite some time; but then again, what isn’t on my list. Basic human necessities like studying and socializing gets in between my list and I. However, this Hunt kills two birds with one perfect ooey gooey donut stone. I have to shamefully admit I haven’t had a donut in a while. In my overwhelmed state, I purchased three donuts: Birthday Cake, PB&J (not pictured), and Hazelnut. When I say I never want to have another PB&J sandwich if it isn’t in donut form—I mean it. Damn it was good. It’s sweet and savory and definitely a filling breakfast. Like hello, PB is protein! I heard the Maple Bacon is to die for. Maybe when I rebel and start to eat pork I’ll drive down to Somerville and try it. Well, let the Donut Hunt continue and let my jeans not get any smaller.